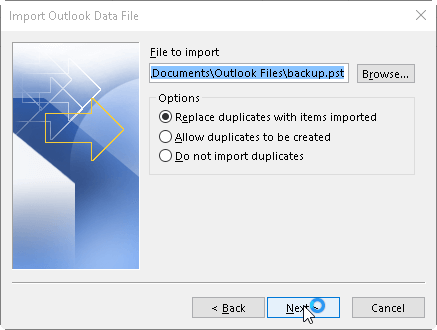 How to Migrate Outlook 2013 PST Data to Outlook 2016? 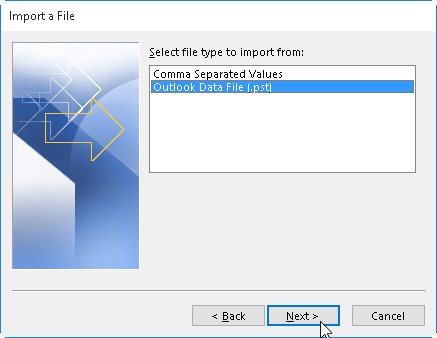 A PST file is Personal Folder file in Microsoft Outlook. It is an open proprietary file format used to store copies of messages, calendar events, and other items within Microsoft software such as Microsoft Exchange server, Windows Messaging and MS Outlook. These PST files are originally shipped with the MS Outlook and are used to access Exchange server mailboxes. It has been observed that storing data in PST files are not reliable so you have to move your PST data to another Outlook version. So, here I will discuss some of the reasons why you need to migrate. It’s very difficult to back up PST files. PST files are typically stores at hard drives and user does not prefer to back up those hard drives. In case if user needs to do back up of PST file then he avoids to back up hard drives. PST files get corrupted easily. As it has been known that PST file has a size limit of 2GB but in case if the size is exceeds, then it will leads to PST file corruption. Network Connected PST are not supported. In the above reason I have mentioned that PST files are basically stores at hard drives or removable devices which are very difficult to backed up hence Microsoft does not support network connected PST to be backed up. If PST files are on shared on network then they are not been backed up. PST files are limited as they only work for Outlook. There is one more disadvantage of PST files is it has limitation to use as it is only workable on MS Outlook. No, other Email client is able to access PST files. How to import repaired PST file in Outlook? You can see a ribbon at the top Outlook 2013 then click on File. Click on Open & Export and then choose Import/ Export. 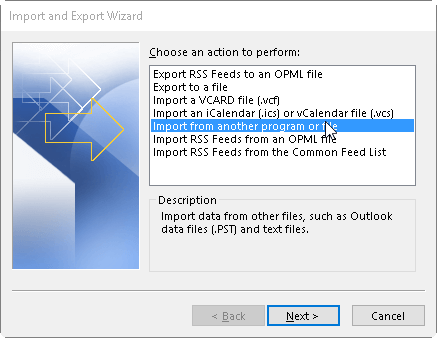 Now select Import from another Program & File and then click on Next. 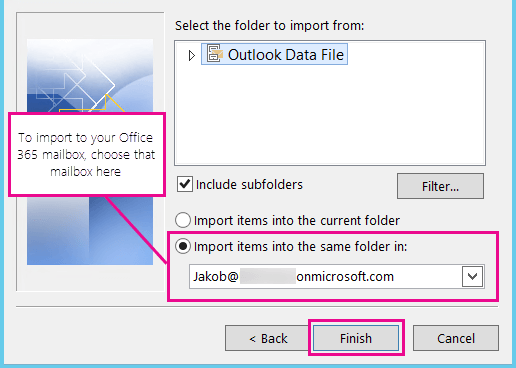 Then select Outlook Data file and click on Next. Now Click on Browse button to choose .pst file which you want to import and select Replace duplicates with items imported and click on Next. If your .pst file is Password protected then enter that password and click on Next. 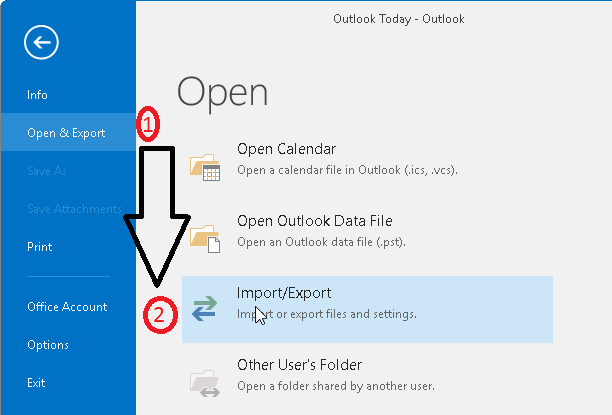 If you are importing data of .pst file into your Office 365 accounts then choose it here and if you are not importing into Office 365 account then choose Import items into current folder and then click on Finish. While migrating Outlook 2013 PST data to Outlook 2016 people usually follow manual method which is complex to use. Instead of that I prefer you to use a third party tool for migration. You should use Kernel for Outlook PST Repair, this tool has interactive user interface which makes it easy to use along with that it is just a 3 step process which means it will only take few minutes to migrate. This tool easily repairs large size PST files hence there is no limitation of large PST files for this tool. Efficiently migrate PST files to Office 365, MS Exchange server, Lotus Notes etc. And it is compatible with all versions of windows OS and MS Outlook including the latest.